The LIFEPAK CR Plus/LIFEPAK EXPRESS defibrillation electrode pads and battery/charger are sold only as a kit and are not available as a separate item. 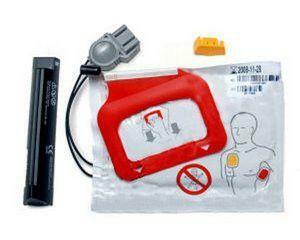 Both the battery/charger and defibrillation electrode pads are replaced simultaneously either upon use or expiration. We ensure the expiration date of both components in this kit are exactly the same.